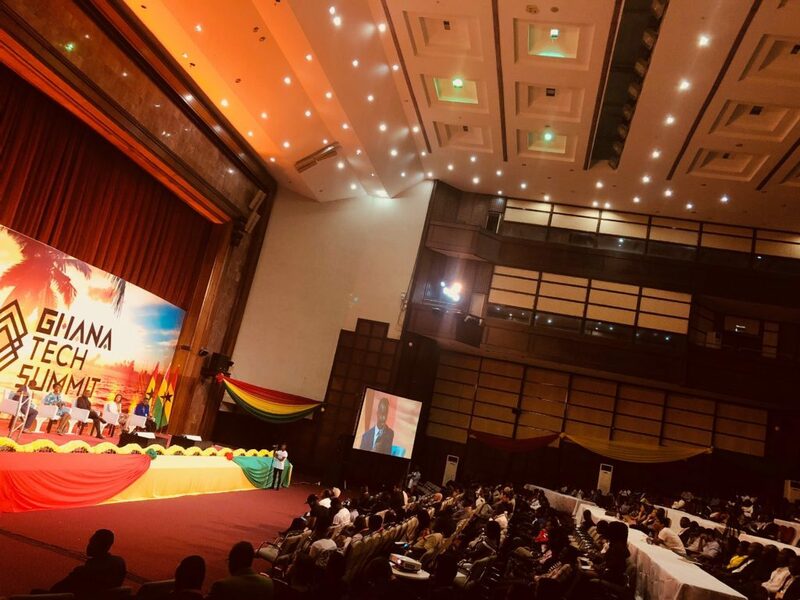 [Accra, Ghana-July 23, 2018] The 1st annual Ghana Tech Summit concluded with historical records as the largest tech summit in West Africa- trending #2 on twitter, galvanizing 100 speakers and 1000 attendees, and announced to over 573, 420 global participants in just 2 days. The summit concluded with these historic metrics with just word of mouth marketing and network email invitations. The summit aims to double its numbers for 2019. The summit founder, Einstein Kofi Ntim, stressed that with recent headlines showcasing Ghana as the fastest growing economy in Africa, the launch of Google Ai Lab, and the opening of Ghana’s first Diaspora office- the Ghana Tech Summit can not only serve as an annual 3 day event alone but as a stable, consistent and highly regarded platform for tech and economic development in the country. With over 1600 summit rsvp, 38+ local partners and 140 global partners, the Ghana Tech Summit team now has one of the largest database of tech innovation influencers, experts, and decision makers in the country. As the summit founders complete a series of stakeholder meetings this week, the team encourages those interested in working with the organization to send an inquiry via info@ghanatechsummit.com. Planning for 2019 Ghana Tech Summit has already begun and will surely break new historic records. Ghana Tech Summit is a 3 day international program to be hosted on July 18-20, 2018 at Accra International Conference Center featuring 100 global speakers and 1000 attendees. The central theme of the global summit is to “catalyze entrepreneurial and business ecosystems in emerging markets”. The multi year event is a 12- year initiative of the Global Startup Ecosystem (GSE) which brings together hundreds of entrepreneurs, investors, digital marketers and creatives together in to targeted cities around the world to accelerate tech, innovation and economic development within the host country. GSE hosts about 20 global programs a year with top notable summits such as Space Tech Summit in Silicon Valley, Blockchain Tech Summit in New York, and Haiti Tech Summit in Royal Decameron, Haiti which generated 105 social media impressions. About Global Startup Ecosystem (GSE): is a central hub designed to educate, inspire and prepare tech communities for the digital age. GSE summits are annual conferences held around the world to connect, inform, and inspire stakeholders within an ecosystem to leverage technology that ensures impact. Summits are a major focal point for bringing together government officials, business leaders, startup innovators, celebrities and key influencers in one place.